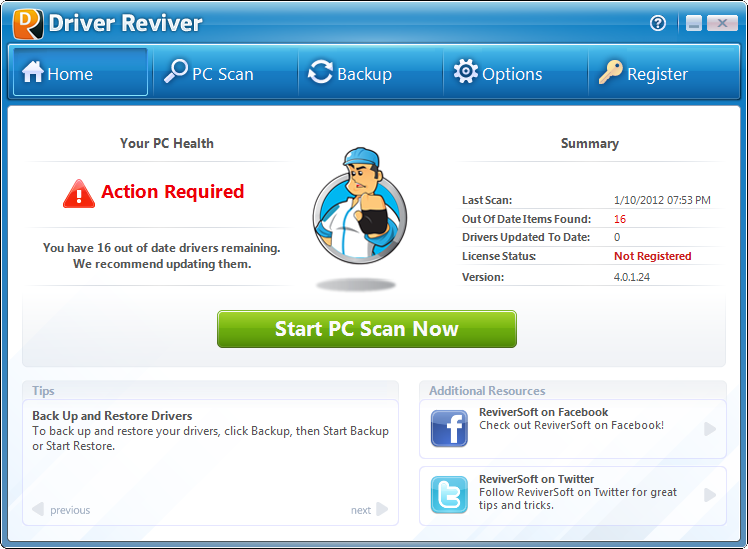 Driver Reviver is the most comprehensive and complete driver update utility available. Having up-to-date drivers is essential for maximum PC performance. Quickly identify out of date drivers and easily update them with a few mouse clicks! Free Scan! How Will Driver Reviver Help? Restore maximum performance to your PC today with the multi award-winning Driver Reviver now. Free Scan!